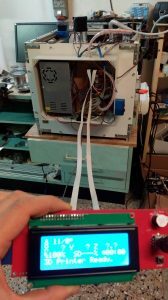 Using ferrite ring I was able to have a fully working 2004 LCD DISPLAY using a a 90cm long cables. With these cable I’ll be able to have the cld on the front of the 3D printer and the electronics on the back, and I’ll have extra length to make a nice cable managment! 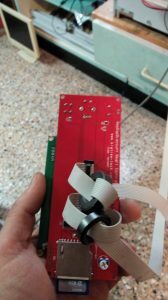 In questo periodo ho sempre meno tempo di scrivere qualcosa qua sul blog, ma non pensate che me ne stia fermo a fare nulla. Anzi sono sempre in fermento. 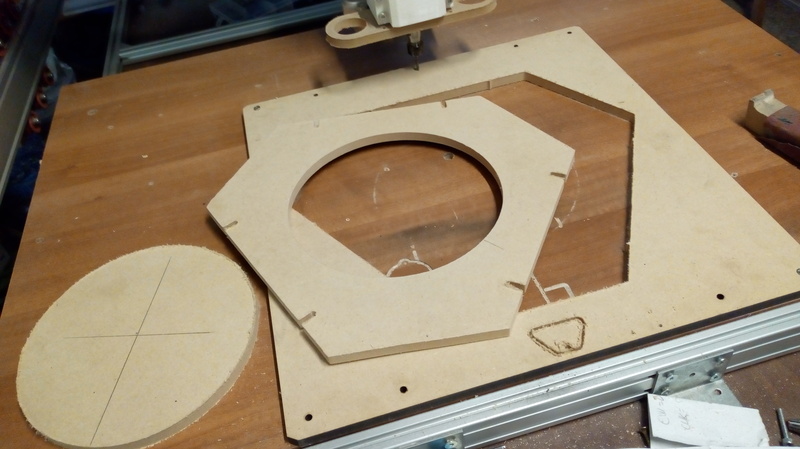 Forse chi mi segue o chi ha letto gli ultimi post sa che mi sono anche costruito una CNC per realizzare piccole parti in metallo e non per le mie stampanti, oltre che per altre lavorazioni. 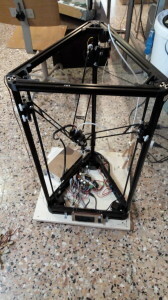 Era quindi giunto il momento di aggiornare e rimettere in modo la mia big delta kossel. There was a project that I wanted to try and finish and with my big CNC now operative THIS IS THE TIME! A friend of my ask me if I could repair his anycubic delta kossel xl. It’s not an expensive delta kossel. It was a 180$ kit. One of the chepest one I think. I never had the chances to work on a kit like this… I always build my printer by myself. But I said yes… and the works begin. So… what are my impressions? At first look the printer is quite WEAK and LIGHT. 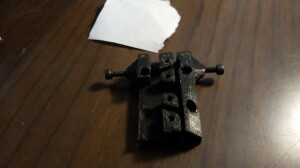 The weight is somenthing like my mini delta printer, made completely form iron plate and aluminum profile. The frame isn’t very rigid too. 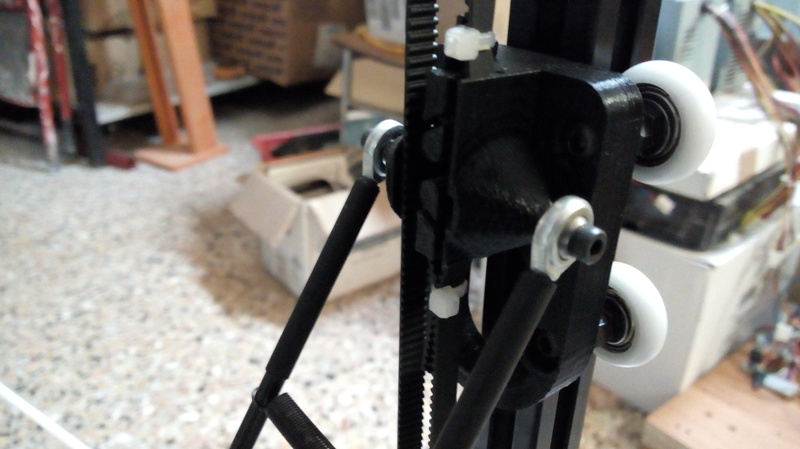 The delta arms/rods are quite good: 3mm ball joint and carbon fiber rods. The effectr is light too. 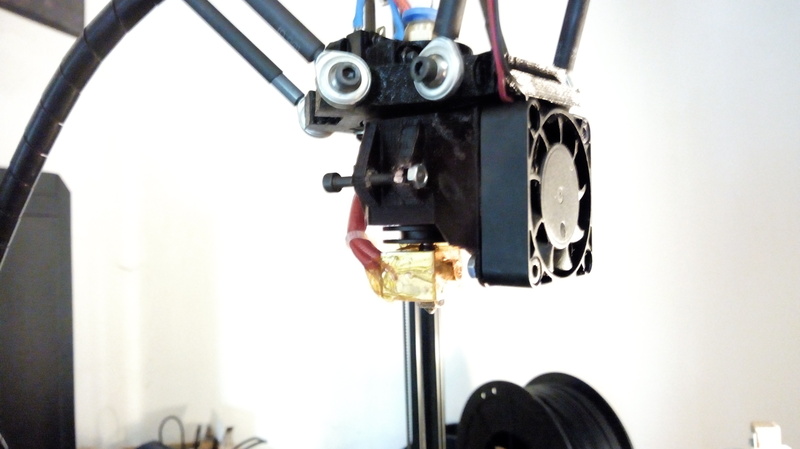 One hotend (E3D clone?) with just one fan (ONLY ONE?!?!) and it has a probe system too. 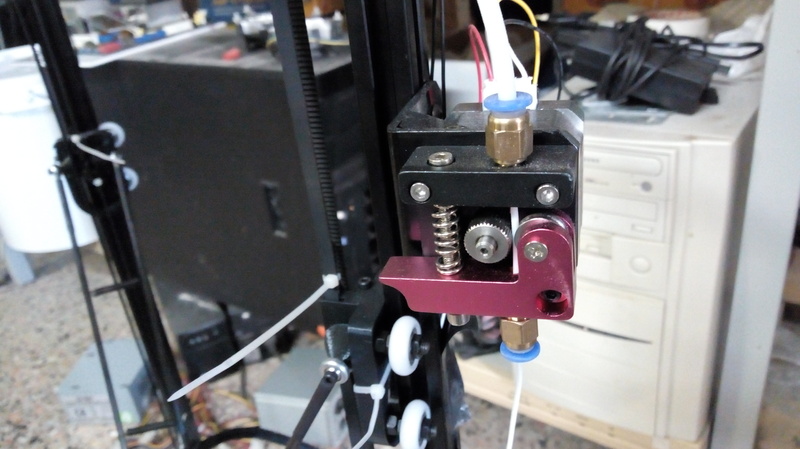 When the hotend touch the plate it will rise a little bit and it will hit he z.min hotend mountend on the effector. Easy. 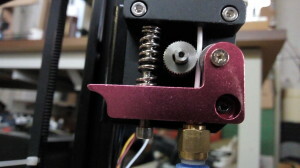 But I don’t like it very much… I always afraid to ruin the nozzle. The extruder is quite a standard and quite good. I have used this before and I like it. 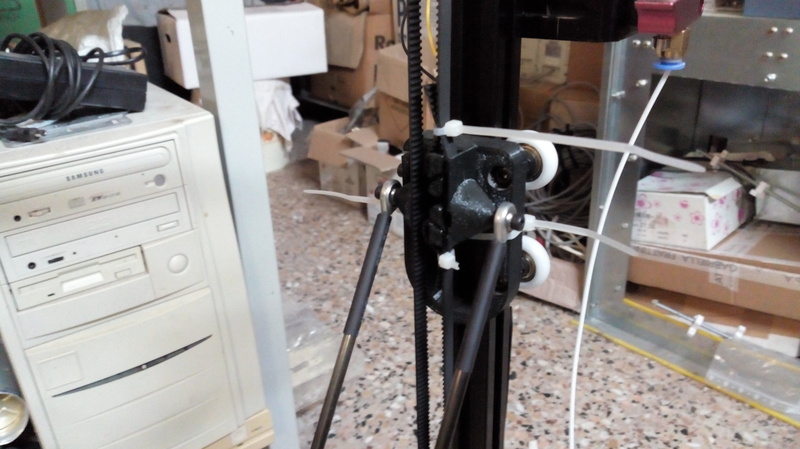 Can’t print flexy materials, but for PLA, ABS and other standard filament will be ok.
Now lets start with the broken part. The carriage tower where broken. ALL OF THEM. 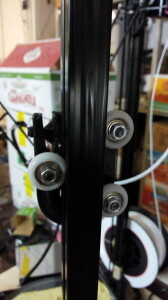 The plastic in the curve is too thin, and it as much less pressure force. 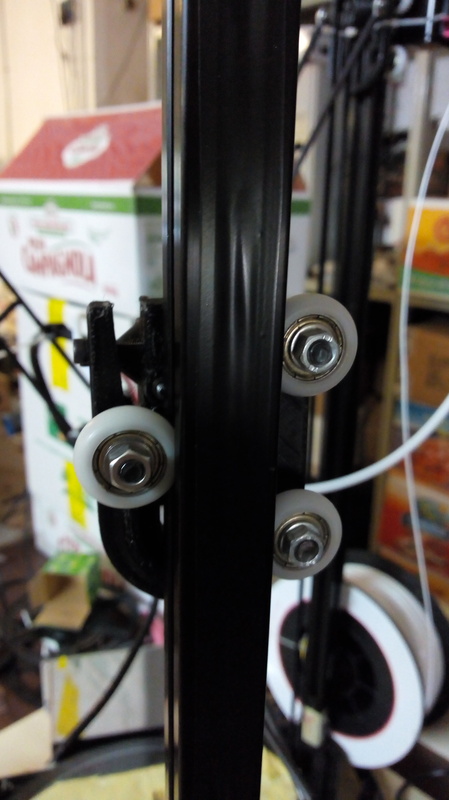 Come on Anycubic… ok this is a cheap kit… but you come from a country that produce a LOT of filament. You can afford to put some more plastic inside them! i have to admit that this in one of oldest kit I think. 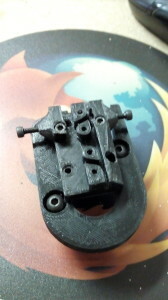 Now they ship kit with plastic pieces made by injection mold. the plastic is really cheap. Too light. So I started printing some other carriages, stronger and easy to mount. The design are not mine. 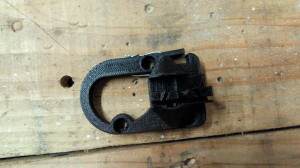 I have downloaded them from thingiverse. 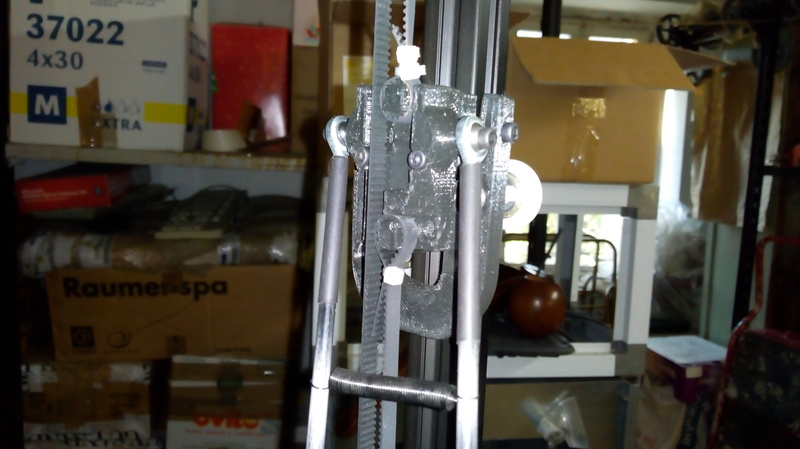 You can find a lot of these model from thingi. And you’ll find one for your needs. 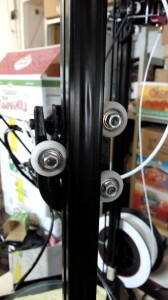 The wheels now have a nice pressure. The movements ares really good. But I don’t love very much these wheel. 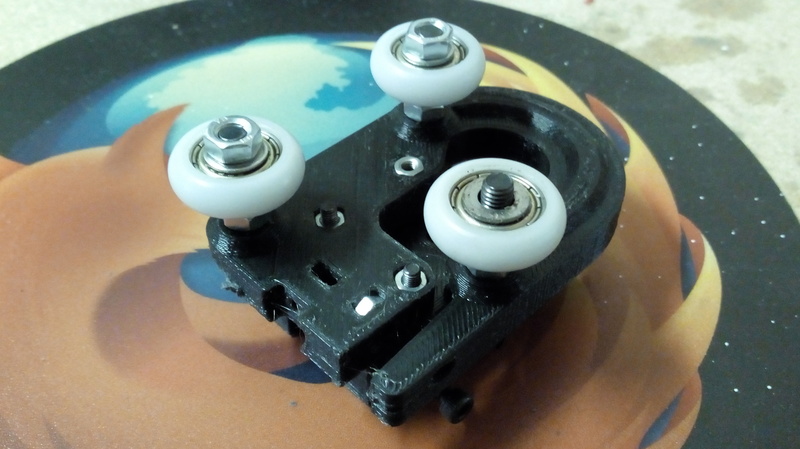 I have used only gslot wheels (they are V shaped wheel like openbuilds wheels and they perfectly fit in they special profile), but these wheels has a round shape… and thei don’t fit 100% in the profile… But it can work fine. Now it’s look alive again. 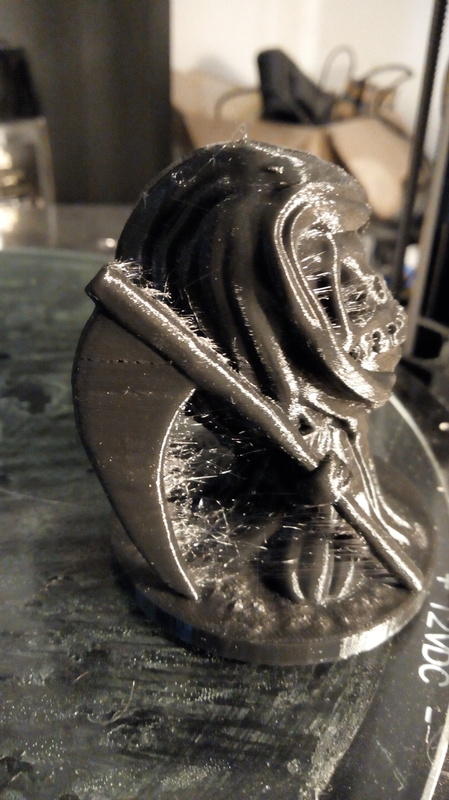 But ok I need to fix that to… I want it more rigid… but how? Now the upper triangle is more rigid. 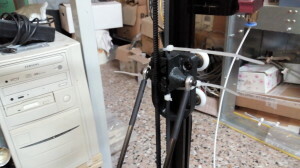 The towers can bent quite a little… But I can’t fix that… becaouse the fault is in the plastic corners. The last think I have to do is the fan duct for the hotend. 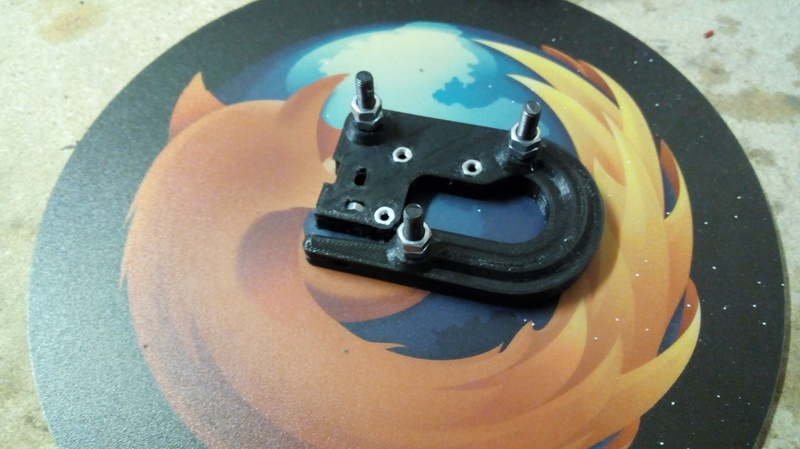 Lucky of me I still have one of the old fan duct that I printed when I built my first version of the delta. It fits perfectly. 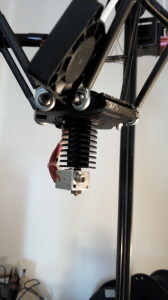 And I could add 2 more fan to cold down the printed piece. 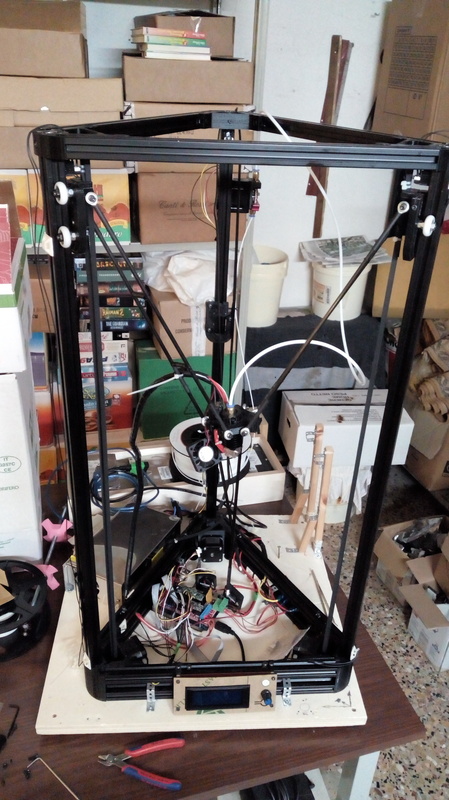 So… now the calibration and tuning. 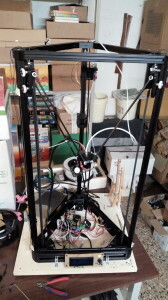 The printer come with an Arduino Mega 2560, with ramps shield and 4 A4988 stepper driver. 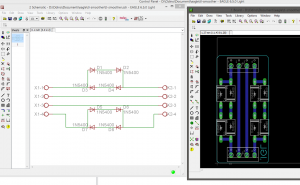 The bed will be controlled by a car 12V relay. 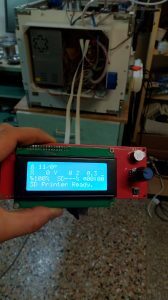 I have installed a MKduo for this printer, and it works like a charm. 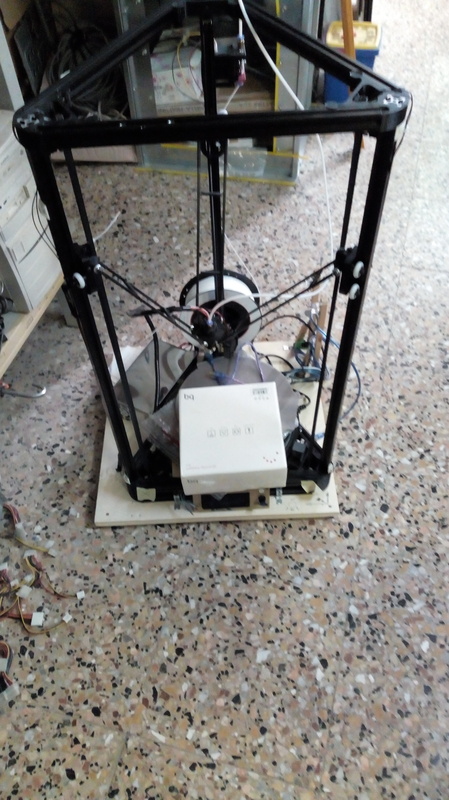 First I have calibrated manually but than I have set up the delta auto calibration geometry and now it can calibrate itself quite easly. But the final question is… CAN IT PRINT AGAIN?!? I have downloaded and printed a little statue too. 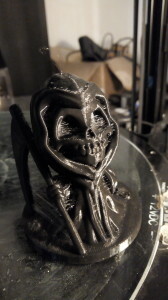 A little jack reaper. Printed at 0.1mm layer height. It come out really well. It has some strings effect. Well.. I have printed it with no air flow on the piece… so I think it’s normal. 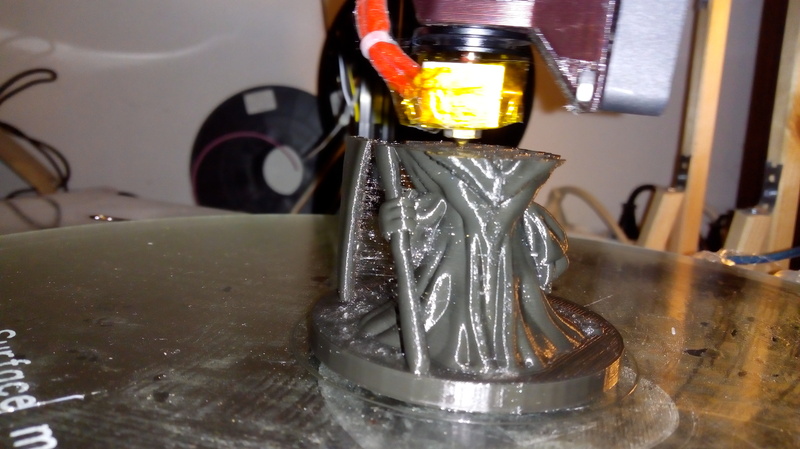 These anycubic delta printer is above my expectations. 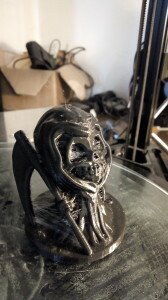 It can print really well. 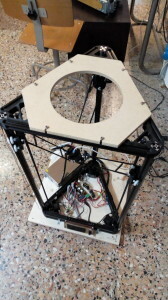 The frame is light, soo light that it has some really evident weak points. 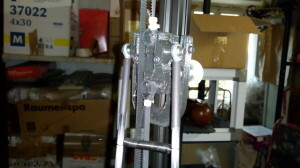 But the light frame and structure is one of it’s advantage. It’s so light that it can go quite fast. 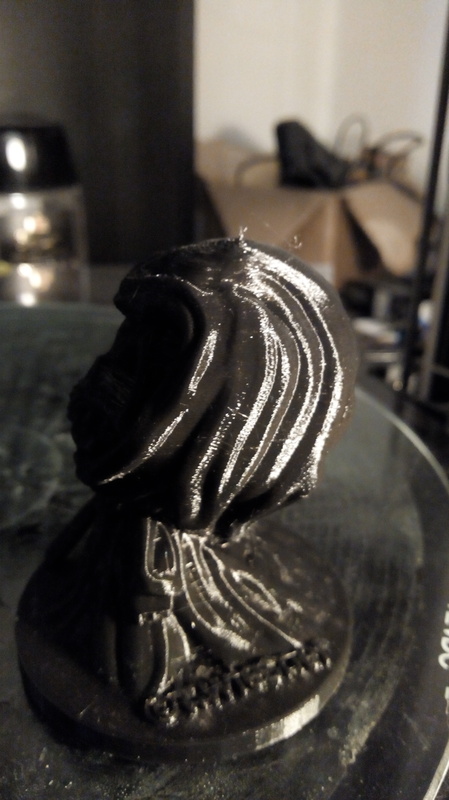 Really fast for a cheap printer like this. 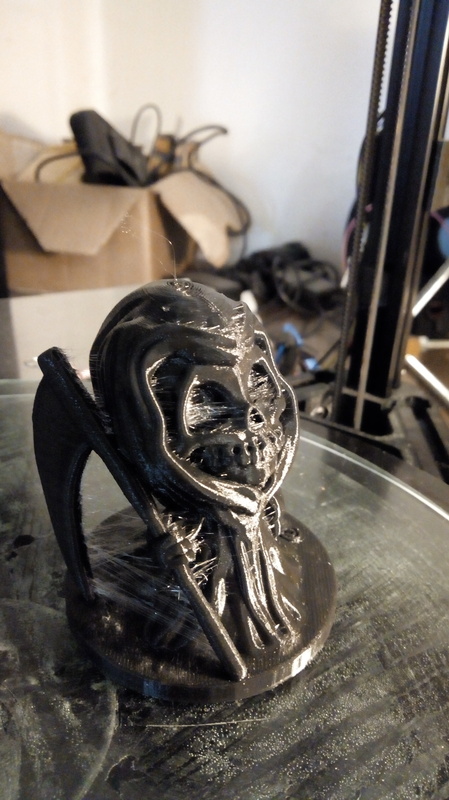 Well it not like the TEVO little monster that I saw on the internet (yeah I know there is some issue with TEVO in these period, but I like the design of the Little monster). 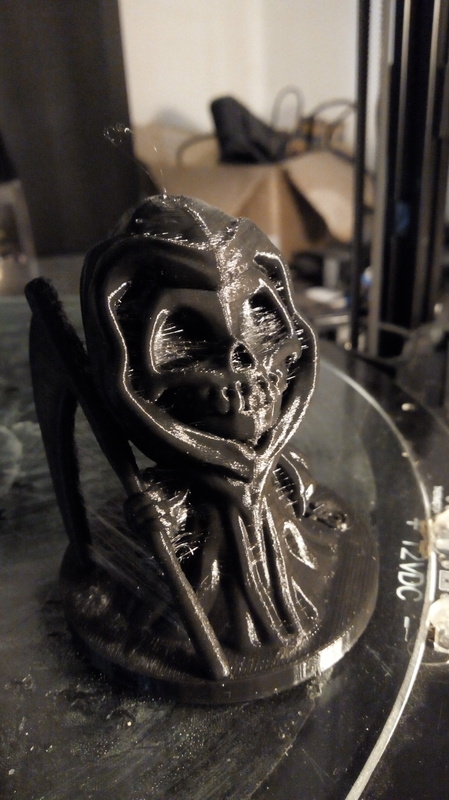 Just to be clear I don’t have one Tevo Little monster, I don’t have ever see one of that in real life, just look at the printer online. I will but a kit like these? 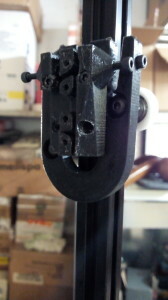 I dont’ think so… I want a stronger frame. But I admit that it print well.